Portability – I want things that I can carry around easily, that don’t weigh too much. Security – Ideally those things will fit in a hotel safe. Affordability – Worst case scenario, your gear gets stolen, lost, or broken. I’ll be less saddened at losing a $300 item than a $1,000 item. On the other hand, allow for your passions – maybe one of the reasons you’re travelling is to take photos and you’ve got a large, heavy digital SLR (with lens, tripod, and other gear) that you love. What would be the point of leaving it home and feeling frustrated using a cheap, portable point-and-shoot camera? Here’s a look at my choices of cameras, mobile phones, tablets, and laptop computers – keeping in mind the issues of portability, security, affordability and allowing for your passions. Before we begin, a warning: Most people travelling, whether using their own gear or public access computers, will be connecting using someone else’s WiFi network, in an airport, hotel, cafe, or elsewhere. This can be dangerous. Airport networks named “Free Public WiFi” have been spoofed, for instance. I would suggest you avoid online banking and be wary of online purchasing. Take a look at the article 3 Dangers of Logging on to Public WiFi. Many people have stopped using a dedicated camera altogether, relying on the camera in their mobile phone or tablet. I use the camera in my phone for spontaneous photo-taking on the go, but when I’m travelling, I still prefer to carry a camera. I’ve found that I like the ability to zoom in on details and the minimalist digital zoom on smartphone cameras just doesn’t do what I want. At the same time, I don’t want a big camera hanging like a dead weight around my neck and screaming ‘tourist’. I’ve travelled with a weighty D-SLR and with a somewhat smaller, but still large super-zoom. But the category of camera I’m using now is what’s called a ‘compact zoom’ – a camera small enough to fit in my pocket but with a larger optical zoom than the 3x-5x in most small digital cameras. 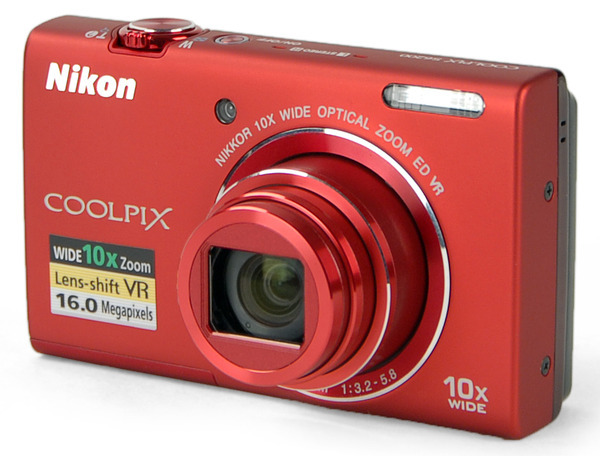 When I travelled last Fall, I brought along two cameras as a test to see which I would end up using the most – a Nikon Coolpix S6200 with a 10x zoom and an Olympus SZ-14 with a 24x zoom. I didn’t take a single shot with the Olympus – the ability of the Nikon to fit in a pocket made it a better choice – for me. I’m going to be travelling again this spring. I’m planning on just taking the Nikon this time. As always, your needs may be different from mine. For instance, you may find that a model offering better than average water or shock-resistance fits in best with your travel needs. If you’re bringing a digital camera, make sure you’ve packed the battery charger! A spare memory card might be a good idea, though you can always buy one on the go. I don’t take a tripod or other camera accessories. If you want to transfer photos to a laptop, you may be able to simply plug the camera’s memory card into a slot on your laptop. If not, the cable that connects your camera to its charger can – almost always – also plug into your laptop. 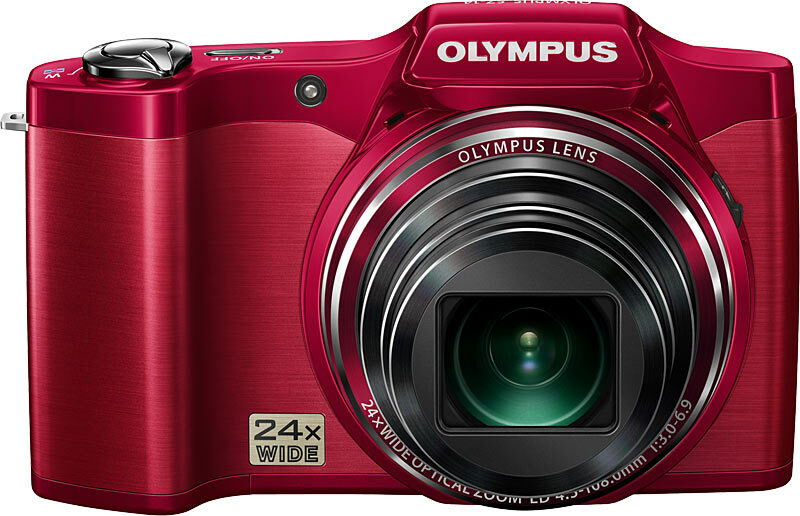 Some recent model cameras have WiFi built-in and can be used to transfer images wirelessly. Or you may want to get a memory card with WiFi features, such as the EyeFi models. For some people, a smartphone might be the only tech tool they need – it can take photos; connect to the Internet using a WiFi network or a mobile phone network for email, social networking, web browsing and more; display maps and directions; and make phone calls for restaurant and hotel reservations and what have you. As we’ve discussed, the camera, while handy, is limited. And the small screen size makes reading and writing email and web browsing awkward. It works, but I wouldn’t want to use it as my only device for more than a couple of days. 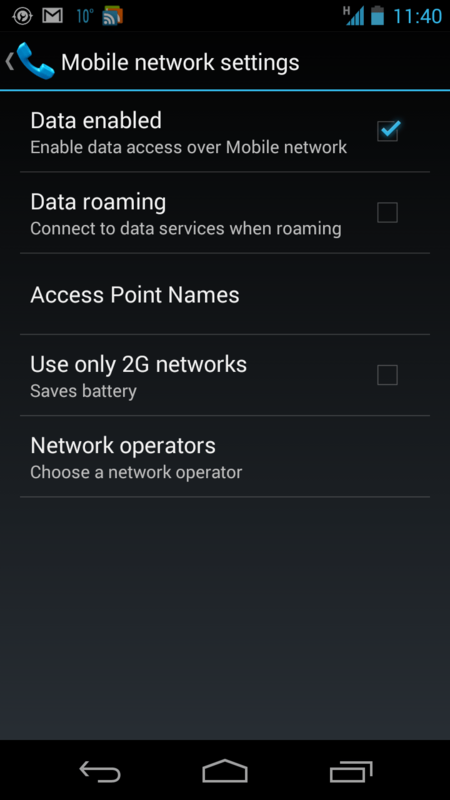 And making phone calls and accessing data while travelling can result in very high roaming charges if you’re using your regular mobile account. These can sneak up on you – even if you’re not making any phone calls and are using local WiFi networks whenever possible on your phone, you may be still racking up roaming charges for data with your phone downloading maps for its GPS, email messages, notifications, and more while it sits – apparently doing nothing – in your pocket or purse. You can talk to your local mobile provider before travelling: Canadian and US providers have started offering roaming packages providing some amount of voice and data – for a fee. What I prefer, though, is to get a local SIM card that’s good for wherever I’m travelling. That gives me more service – both voice and data – for less cost than a roaming package. When I’m travelling in the US, I’ve had good results with T-Mobile; most recently getting service for US$3 per day. In Italy, I’ve used Vodafone Italia – when I was there last autumn, I paid about 20 Euro for a month’s service. With my Canadian SIM card removed from the phone and a local one plugged in, there’s no way that I’ll get dinged with unexpected charges on my Canadian account. There are a few things, though. European mobile phone services – and all Canadian mobile phone services – use GSM networks. (Though not all use the same frequencies – you need to check to make sure that your North American phone will work on European networks.) Popular US networks like Verizon use non-compatible CDMA networks – these phones won’t work with GSM networks. Even with a GSM phone, you’ll need an “‘unlocked” phone – one that will work with other networks. You may already have an unlocked phone – if not, your mobile provider may be prepared to unlock your phone (for a price). Or one of the large number of small mobile phone shops will unlock it (for a lower price). You won’t be able to use your phone until you get a local SIM card – if you do, you’ll incur roaming charges. This spring, I know I’ll need to make one phone call when I arrive at my destination – before I’ll have a chance to set up a local account. I’ll pay a high roaming cost ($2.50 per minute) for that call – but I’ll be sure to have turned off data access before I get off the plane! iPhone or Android phone? Really doesn’t matter – as long as your phone is unlocked and supports International GSM bands. Tablets occupy a middle space between smartphones and laptops – with larger screen sizes than smartphones, they are more comfortable for viewing and writing email, web browsing, watching videos and reading ebooks. At the same time, they are more awkward for doing keyboard-intensive computing (even if you’ve got an add-on keyboard) than a laptop. But assuming you’re travelling on a holiday, how much of that are you going to be doing? With services like Skype, you can even use a tablet to make phone calls to standard land line and mobile telephones – when you’ve got a network connection, at least. The result – a tablet can easily be a traveller’s primary tech device, perhaps their only tech device. All tablets have WiFi wireless networking built-in. A small minority also have a SIM-socket allowing users to plug in a phone-style SIM card for Internet (etc.) on the go. In that case, you can buy a SIM card for short-term, data-only use from a local mobile phone shop at your destination, just as I described above for mobile phone users. This works well, providing network access on the train, GPS maps while on a hike, and more. Without that, you’re dependent on the availability of an accessible WiFi network – in your hotel, in a cafe, or in some cases, elsewhere. Often there’s a catch – your hotel network may not be free, for instance. When we were in Rome in 2010, there was free public WiFi in some parks – but in order to register for it, you needed an Italian phone number, which we didn’t have. Even when a network’s available, it may offer poor bandwidth – in your hotel, a single access point may service all the rooms on your floor – and may be at the other end of the hotel from your room. In fact, while many of us seem to believe that WiFi is almost universally available, I’ve found it much less available (or of poorer quality) than I’ve hoped. It may be worthwhile paying for service – or for better service – sometimes an option in hotels offering free WiFi. Still, a tablet can be – for many users – a good choice for travel technology. Again – iPad or Android device? Both work fine. I’ve travelled with a 10″ iPad and with a 7″ Nexus 7 – either travels fine. Note that if you’re travelling with a tablet and a digital camera you may want to transfer photos from the camera to the tablet. A WiFi camera – or a camera with a WiFi memory card like the EyeFi line can do this easily. If you don’t have WiFi on your camera, you can still do it, but you’ll need add-ons for either an iPad or an Android tablet. 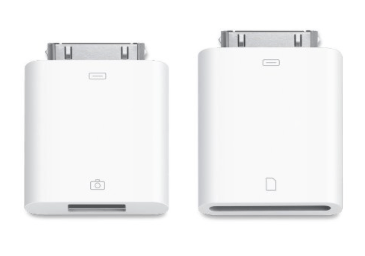 For an iPad, Apple offers models for older dock-connector iPads (which bundles an adaptor for your camera’s memory card and a different adaptor for your camera’s USB connector) and newer Lightning-connector models – with memory card and USB adaptors sold separately. Users of Android tablets such as the Nexus 7 can get by with a relatively inexpensive OTG (‘on the go’) adapter – enabling connection of the camera’s USB cable or a memory card reader to the tablet’s micro-connection port. Prices range from about $1.50 to $5 at Amazon, et al. I’ve travelled with a range of laptops; I took a netbook to Rome in 2010 – we had WiFi in our hotel lobby, though not in the room itself. Between the netbook’s small non-standard keyboard and the limited network accessibility, it was an awkward experience. Better was taking a second-hand 11″ Macbook Air on my 2013 trip. We were gone for three weeks, and had usable WiFi nearly everywhere we stayed – that was long enough away that it was handy to have a ‘real’ laptop, letting me do the odd chore that popped up that would have been difficult to do on a tablet (making a quick edit to a web page, for instance). At the same time, the 11″ form factor was small, light-weight, and portable and could fit in the hotel safe, while was enough bigger than the 2010-netbook to be much more pleasant to use. And because it was not my primary computer (which stayed at home), it wouldn’t have been a disaster if it had been stolen or damaged while on the road. Mac? Windows? Linux? Whatever you’re comfortable using. While I’m going to be travelling again in a bit, I haven’t decided what (if any) laptop to take. I no longer have the second-hand Macbook Air, so that’s not an option. Some choices: an older (2005) 12″ Apple PowerBook and a (2010-or so) Dell Mini 10 netbook running Mac OS X – both are reasonably small and light and low-value, but also a bit slow by today’s standards. A new Acer C720 Chromebook – an 11″ model running Google’s ChromeOS – again, small, light, and low cost, but with quick start up and perky performance – but less useful than a Mac or Windows system for anything other than basic online use. Or my primary home laptop – fully functional, but not low-value… it would be a real disaster if something happened to it on my travels. I may take the PowerBook and Mini 10 out of the closet and use each for a day or so, just to remind myself how they feel. But maybe I’ll take none of them, and make do with, say, a smartphone (with Italian SIM card) and a tablet. Digital cameras, mobile phones, tablets and laptops all have batteries – and all of them need recharging. This can pose a bit of a problem – along with the gadgets themselves, you also need to bring the appropriate chargers and connection cables. The USB cable that connects to your Android phone may not be usable with your digital camera. (In fact, when I brought along two cameras last autumn, each needed a different USB cable for charging). And European wall outlets are different from US/Canadian outlets in two ways: They are 220 volt while the North American outlets are 120 volt, and they use plugs with two (or in some cases three) slender round pins instead of the flat metal pieces on North American style plugs. (British outlets are also 220 volt but use yet another shape plug, different from both North American and Continental European plugs). Good news, though – almost all of the chargers for tech devices are dual-voltage; they will convert from 220 volt or 120 volt as needed. Because of this, you don’t need expensive (and heavy) voltage converters. All you need is a cheap, simple adaptor – available in dollar stores in both North America and Europe. Get a bunch of them. Apple sells a World Travel Adapter Kit (CDN$45) – a set of six adaptors that plug into Apple power supplies for Macbooks, iPads, and more. You probably don’t need this, as the cheap adaptor pictured above plugs right into your North American-style plug and works fine – even with your Apple products. Bad news – older European hotels and apartments – the ones I’m likely to stay in, at least – tend to be outlet-challenged. Few outlets in each room, and the ones that are there tend to allow only one thing to be plugged in, and probably already have a lamp, clock, TV, or something plugged in. An adaptor letting you plug three things into a single outlet is worth picking up – get it in a local dollar (or Euro) shop. 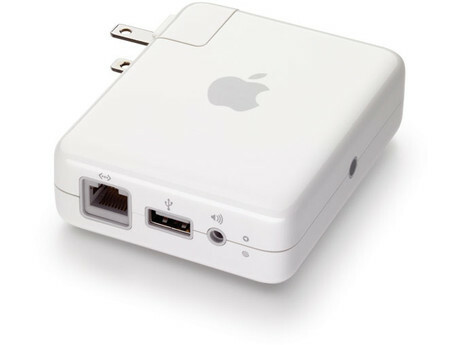 I usually travel with an Apple Airport Express WiFi router. This is a small, simple to use WiFi router that plugs straight into a wall outlet and connects to a wired network connector – you’ll need to bring along an ethernet cable. This is handy if you end up in a hotel that offers wired networking rather than WiFi (or has both wired and wireless networking but a crappy wireless signal – which has happened). I haven’t needed it most of the times I’ve travelled, but when I have needed it, it’s been great to have along – it’s small and easy to throw into my suitcase, and not a big deal if I don’t actually use it. Apple’s model is relatively pricey (CDN$95) – there are less expensive alternatives. Brilliant, and the remote access piece too. Thanks! I face the same issues writing on the road a lot. My most important tool is the keyboard, so I always pack an Apple Wireless (I don’t like wrist pads). Another good thing about Chrome: It makes remapping the keyboard reasonably comprehensive and very quick and easy. The writing software is primitive in a high-tech sort of way which means you can bang out a lot of really good copy on a Chromebook, and know it’s safe and get it to your editor ASAP. You can erase your identity in about 20 seconds which is good. It’s great at airports. Still it’s not the MAX environment that you’re most creative and productive in. Interesting choices.